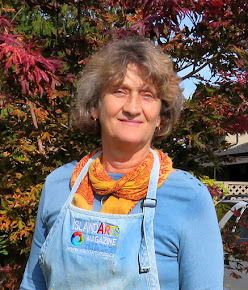 November 14th - 15th marked the First Annual Island Arts Expo at Qualicum Bay on beautiful Vancouver Island. Over 30 of Vancouver Island and area's finest artists put on one "Heck of a Show". 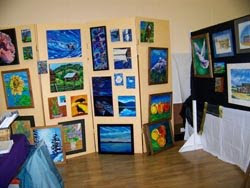 With original paintings, pottery, glass and fibre art there was something for everyone. I was humbled when guests stopped by to congratulate me as the host. Many said "This is the BEST show they had ever attended!" That seemed to be the theme for the weekend, as the artists sold work and also commented, "This was the BEST show they have ever exhibited in!" BEST SHOW EVER...that's quite a compliment! The food was great...the entertainment was fun and the diversity of high calibre art was what most guests enjoyed. Needless to say, we have booked the Lighthouse Community Centre for next year's event.